OsCommerce is an engine for online stores, which is used by more than 30 thousand website administrators and developers. It works on any hosting with PHP and MySQL. OsCommerce has a distinctive feature of the abundance of extensions and plugins outnumbering 5000. They are a useful tool to make online stores more convenient and functional. However, like most other CMS for online stores, osCommerce has its own drawbacks. For example, in the long run the page loading speed slows down. This is due to the abundance of images that are used in online stores. Obviously it is necessary to reduce the image size to speed up the website loading. Compressing images in osCommerce is impossible to perform by standard means. CMS is not built for such delicate work with files. Therefore, osCommerce needs a plugin to compress its images, and it must be installed separately. Plugin OptiPic has already proved its practical efficiency. Image Compression on your osCommerce site is automatic. The initial setup is the only required operation for the resource administrator. How are the images optimized in osCommerce? A plugin for image optimization in osCommerce analyzes the code of images searching for technical information. This kind of information often takes up to 70% of the total picture size and its removal will not affect the quality and extension of the image. Image optimizing in osCommerce with the help of OptiPic provides the optimization of images available on the server and of the newly uploaded ones as well. It provides a constant optimization of pictures and the decrease of website pages loading time. It has been proved that optimizing images of a site in osCommerce has a positive effect on increasing the conversion rate of an online store. Pages and images are loaded faster and users can immediately place their orders. If customers have to deal with webpages that take too long to be loaded they often leave for competing resources that have a higher display speed. Moreover, optimization of images and speeding up the website loading helps with getting high rank in search results, since search engines provide top positions for the websites with faster display of the necessary information to their users. Image Compression in osCommerce using the plugin OptiPic is a great help for the owners and administrators of online stores. How can optimizing images for osCommerce speed up a site? 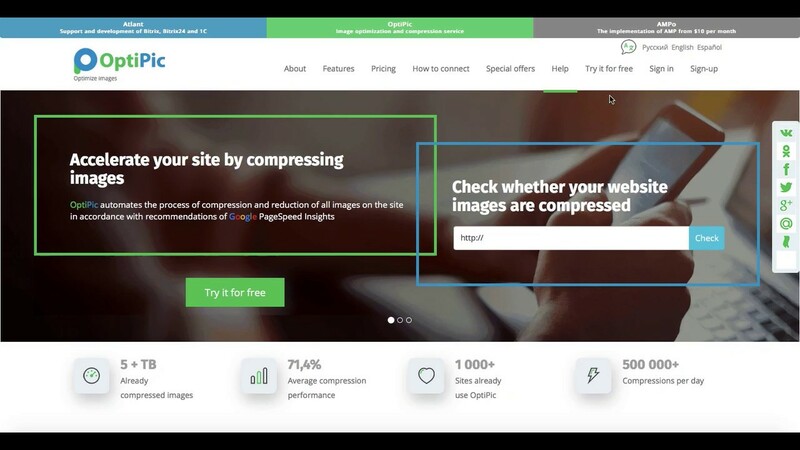 How to get started with OptiPic service for osCommerce for image compression?